All the talk of blazers got me a bit out of touch with my own style. So now for something I might wear myself. – often very loose boxy shape. 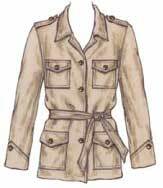 Safari style is slightly different, typically sand, tan, khaki, or olive colour, perhaps with epaulettes, usually a slimmer style in lighter fabrics for warm weather. The conspicuous pockets are the key feature. Often pleated or bellows/ poacher’s pockets with flaps. These styles are usually loose, practical and robust. But they can also be elegant, see Chado Ralph Rucci Vogue 1144.
and the new Claire Shaeffer Vogue 8732 with couture details. There are many big shirt patterns with 2 upper chest pockets. Green Pepper 537 Frenchglen barn jacket. MacPhee Workshop 220 Western Plains jacket. 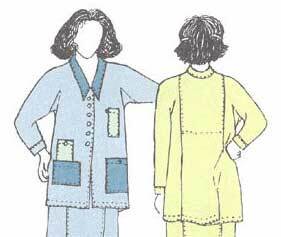 But there are surprisingly few patterns with 4 pockets. And the new Connie Crawford wardrobe Butterick 5618. For a coat length version, see Burda 7786. So start with a favourite big shirt, shirt-jacket or loose jacket pattern and add pockets. Where can you get inspiration ? I must be a fan of a plethora of pockets, as I have several patterns which are discontinued but still findable with a search. How’s that for a challenge to anyone who wants to get over pocket phobia ! There’s no double welt pocket, but I think if I worked through all the others, making one of those would no longer worry me 😀 Put one in the lining, there’s only a simple zippered pocket there. My father’s jackets had a double welt pocket in the lining, with button or button tab for added security. Or for a prettier style with much easier pockets, there’s Indygo Junction Sewer’s Smock. What would you like to carry with you when crafting ? Adapt the pockets for your own use. Park Bench patterns River Walk skirt suit has been discontinued too. An entertaining yet simple way of making pockets decorative, and easy to copy. 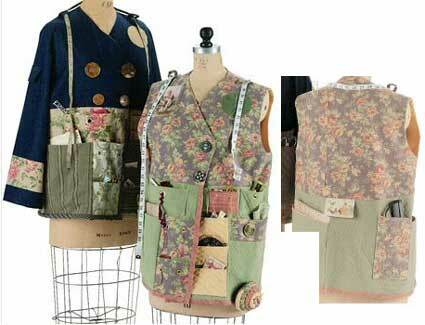 There are several hunting and fishing vest patterns in print, such as Kwik Sew 2198. Green Pepper 501 Oakridge Hunter’s vest, and 502 Rogue River Fishing vest. 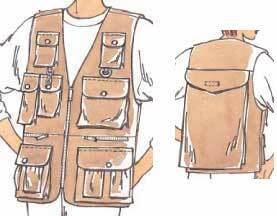 MacPhee Workshop 100 Cargo vest. Wild Ginger Wild Things is free software for hats and bags that generates pocket patterns in several styles and sizes. 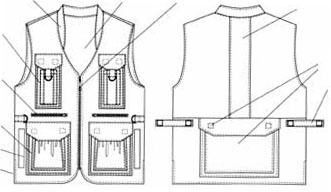 Here’s a free pdf from Colette patterns about pockets to add to their men’s shirt pattern. 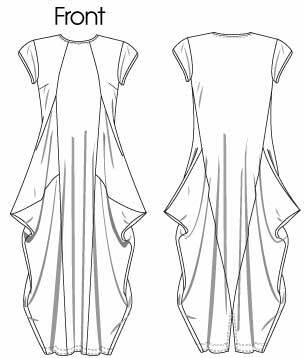 And a photo tutorial from Burda on making pleated pockets. 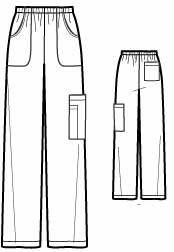 There are many on-line pocket making tutorials, but they’re mainly about patch and welt pockets. P.S. 2016 Burda Style now has a group of download patterns in safari / utility style. 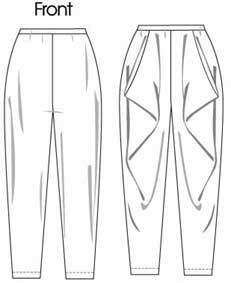 Pants with as many pockets as can be fitted on around your hips. Add pockets to a favourite casual pant shape. Here’s some inspiration from builder’s aprons. These are some patterns you could use as a starting point. McCall’s 5633 has side front and thigh pockets. New Look 6876 has pockets in 3 places. Double up the side and back pockets for this style. I would wear any of the jackets, but perhaps these pants covered in pockets are only for someone with slim hips 😀 Many men round here wear knee length shorts with multiple pockets, but not many women ! Most ‘inverted triangle’ shape people, larger above the waist, need to be careful with jacket pocket placement. This is generally such a casual style, it’s more ‘street’ than ‘runway’. In tough fabrics and usually looks a bit battered. But there are designer quality versions, as I showed earlier. Fashion parkas are a related style – loose and with big pockets, but also hood and waist casing. Here’s a post on parka patterns. P.S. 2017 : This is a continuing interest. I now have a pinterest board for over-sized jacket patterns. Though they’re not in ‘utility’ style – which typically has funnel collar, waist casing, large pockets. 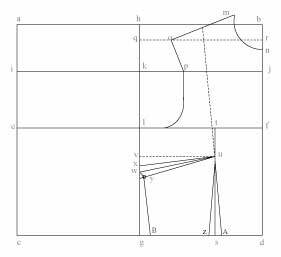 – altering this basic fitting shell pattern to make garment patterns for different styles. The idea is : if the starting point fits well and the pattern changes are made using the right methods, then the garment patterns made from it will fit well too. 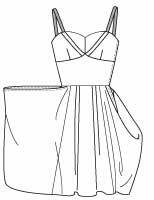 – RTW designers and pattern makers use standard body shapes and sizes, and may want the quickest way of making patterns. From designers of huge production runs for supermarkets to studio designers of small runs for boutiques. I put them together here because none of them need be concerned about the shape of specific individuals. – professional dressmakers and costume makers : make one-off versions of any style for any body shape, hopefully with minimum effort. The most challenging group of needs. – amateur dressmakers : work with one person or a small group of people. And we can choose to work fast or slow, simple or complex, depending on what we enjoy. And you can often achieve these more easily by other methods. So what’s done in practice may be rather different. ‘fitting shell’ : a basic closely fitting pattern. Follows the shape of the person it’s for, with no design features. Little movement ease, so not usable directly as a garment pattern. 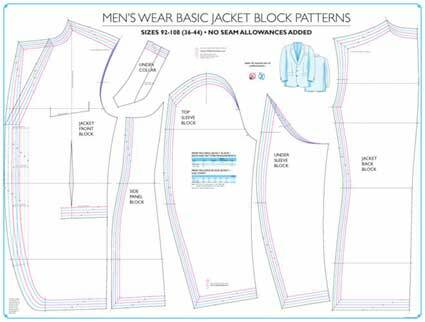 ‘block’ : basic starting pattern for a type of garment, with the usual ease and style elements for this. Such as a simple fitted blouse or casual jacket. RTW designers make patterns based on a generic industry/ company standard body shape. Though there isn’t one industry standard. Different companies use different ones. So we find some RTW companies fit us better than others, and some use more flattering size numbers. The big pattern companies also use slightly different basic fitting shells. oop book ‘Every Sewer’s Guide to the Perfect Fit’ by Morris and McCann compares them. And there are designers within the large pattern companies who use their own idea of an average body shape, like Sandra Betzina and Connie Crawford. The independent pattern companies have their own body shapes too, presumably related to the shape of the designer. So if we use independent patterns, we learn which companies have patterns which fit us easily with small changes, and which ones don’t. 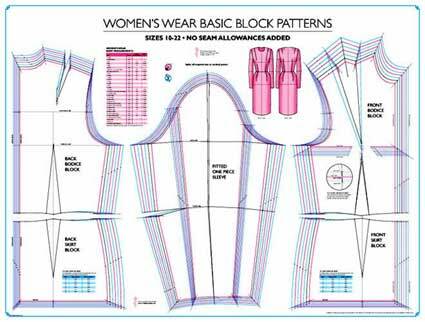 Shoben Fashion Media publish full size basic blocks for use in design schools (sources in UK, US). They also publish women’s blocks for jacket, pants, casual top, stretch body. 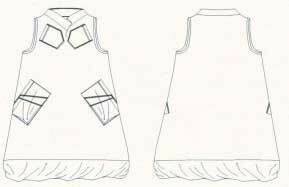 Notice they publish blocks for a few basic garment types, with different amounts of ease and common style elements. They don’t expect students to start their designs from the more basic fitting shell. 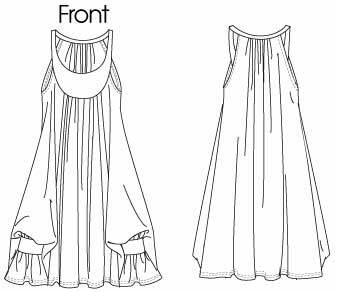 Though they do expect students to devise more complex blocks for themselves, such as a dress/ blouse without waist seam. I’ve found myself working this way too, making some basic types of garment that fit well. Then, for very simple garments, all you have to do is change style elements on the basic block. More on that in later posts. Here’s an interesting story and advice from someone who taught herself how to make patterns and now sells them on-line. If we use this formal approach to make clothes for individuals, we need to learn both drafting a fitting shell from measurements, and then making styles from that. There are books for professionals. These are just some of the many available. It’s a good idea to read the comments at Amazon and Pattern Review. None of them get 100% approval, especially from beginners. Connie Amaden-Crawford : Pattern Making made easy. Separate CDs on each ‘moulage’ for bodice, sleeve, and pants, and for making other styles from them. I haven’t seen any of these, which come at college textbook prices. All of these books are ‘bibles’. They try to cover all possible styles, which you pick and choose from to make your own design. There are also many more modest books for amateurs who want a relatively painless introduction. Some sources are good on how to get a fitting shell that fits. Others are good as a simple guide to making patterns from these, for non-professionals. Again I’ve nowhere near tried all of them. But I have now looked at enough to have some I keep returning to. I no longer feel that if only I buy another book I’ll understand it all at last. I feel I’ve got reference material I understand, and it’s just up to me to get on with it. So here are my choices. The trouble is we all have different thinking and learning styles, so my choices won’t suit everyone. There was a recent strand at Stitchers Guild on learning pattern making, which suggests other possibilities. 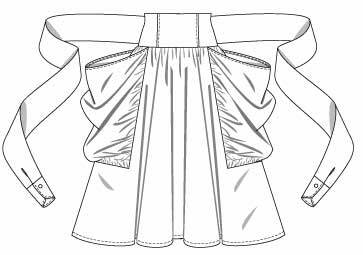 Each textbook uses a different method for drafting a basic fitting shell – that is, starting with some measurements and a blank piece of paper, and ending with a pattern for a garment which is a good close fit. 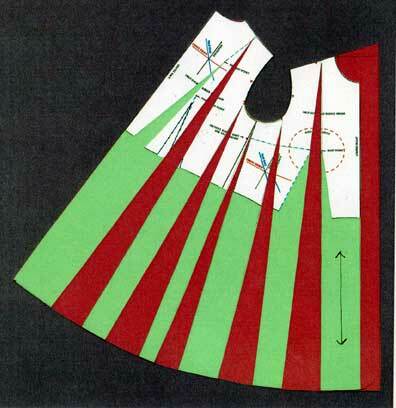 That is from a free pdf about bodice drafting which is here. As they’re all different, it’s likely that some drafting methods are more successful with some body types than others. Sadly no one has done an analysis of that ! And I’ve given up on the search for one that fits me well first go on the basis of measurements, and only needs small adjustments to get a good fit. 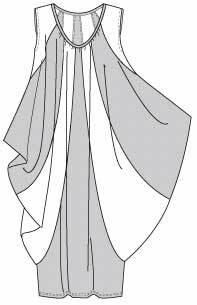 This starts from basic measurements to make the pattern for a preliminary muslin, and then uses draping to finesse the fit. Lots of ingenious ideas on measuring and fitting yourself without help. And on-line classes which include demo videos for all the pattern drafting and muslin fitting steps, and cover all he’s found out since writing the book. Apparently the bodice draft in the book doesn’t work well for larger cup sizes. He now has a different method. There’s a pdf on it which you can access without taking the class, if you join the yahoo group. But some people don’t like his approach because they want to get a good fit first go, from measurements. I haven’t got the sort of body shape that seems to be possible for, but it’s much easier if you have ! And certainly a professional dressmaker or costume maker can save a lot of time if they don’t have to do much altering to get a good fit. If you like to watch video demos, another source for drafting is eSewing Workshop. Here’s a short YouTube intro. 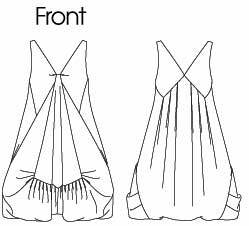 I haven’t seen them, but understand they cover drafting but not correcting any problems with the fit of the muslin made from the drafted pattern. An example : working out how to copy a favourite flared jacket with no side seams and revers neckline. Rotate out the darts in the quarter scale fitting shell (white), add length (pale green), slash and spread (red). I like Peggy Sagers ‘Basic Pattern Making‘ DVD for a good intro to understanding the basics of altering a basic starting point to make patterns for different styles. No substitute for actually doing some, to learn how to do pattern making. It’s fun to use quarter size blocks and play with different pattern making techniques. There are often quarter size blocks in pattern making books, but I haven’t found any copyright free ones. And then there’s no substitute for making the patterns up in fabric, to see the real-life 3-D result of making the pattern changes. Easiest in quarter or half scale again. And then make up the design full size in ‘muslin’. To be sure the pattern pieces go together properly. And to check the overall silhouette and size/ shape/ placement of style elements flatter your body shape. Good to make this trial garment in a fabric you can write and draw on, and just baste it together so you can change things easily. Getting the right length and breadth of each pattern piece to achieve the effect you want is a matter of judgement, an art not a science. So can only be refined by practice, experimenting to find out what has what effect. Which is why many of us find we prefer to adapt commercial patterns rather than trying to make our own. Professional high-end designers and dressmakers don’t expect to get things right first time ! Are there easier ways ? This post describes the stereotype of what pattern making involves. But, as Kathleen Fasanella so passionately and frequently points out, that is just how RTW designers are taught the principles. Not what they actually do. In practice they make things easier for themselves by starting from an existing design which is similar to what they want. I knew a commercial designer who had pictures of style elements on her studio wall. She’d say – we’ll have that body, that collar, that sleeve – and the pattern maker would go off and combine them. This is also how you work if you use some types of pattern making software, such as Pattern Master Boutique. So it can be much simpler. Understanding first principles is helpful and interesting. And useful in some but not all contexts. But it just isn’t always necessary. After all, the aim of ‘pattern making’ is to get a well-fitting pattern for the style you want. And you don’t have to go through all the processes described in this post to get that. – there are many ways we can get a well fitting starting point without drafting a fitting shell pattern from scratch based on our measurements. 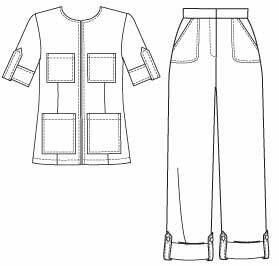 – there are many ways we can get patterns for the garment styles we want without starting from a basic fitting shell. We are lucky to have the choice. We can use whichever method we like and works best at the time. So not to worry if you find the processes described here all much too daunting. Happily there are much easier methods 😀 which I’m planning to talk about later.